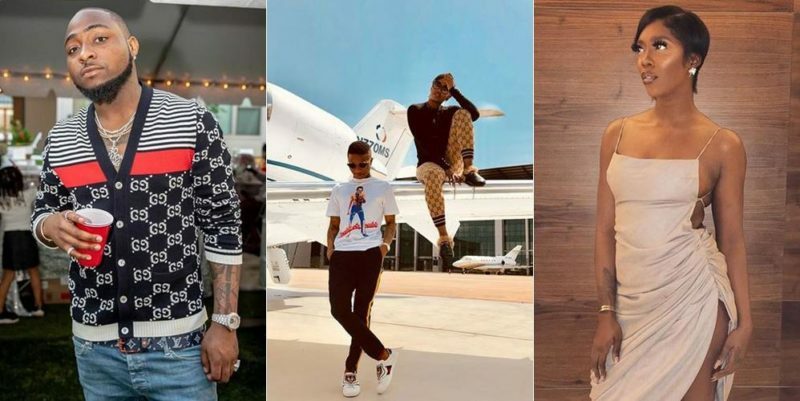 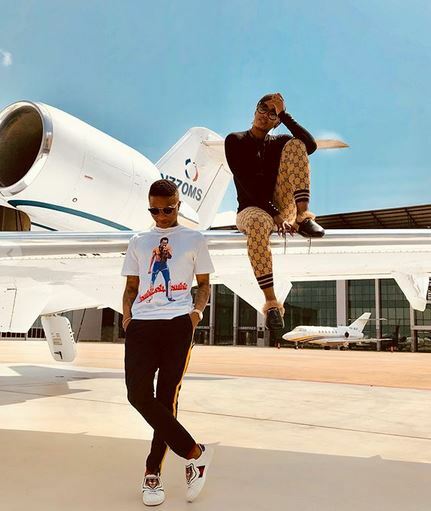 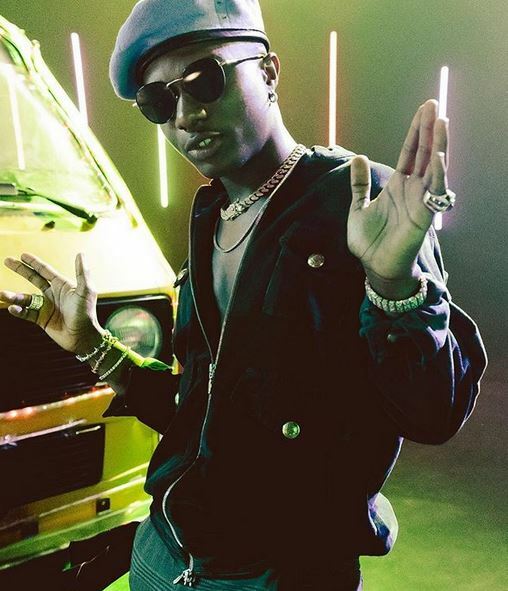 Starboy, Wizkid who is presently in London for his upcoming concert scheduled to hold on May 26 has announced on social media that he is looking for a sister in respond to Davido‘s hit song ‘Assurance’. 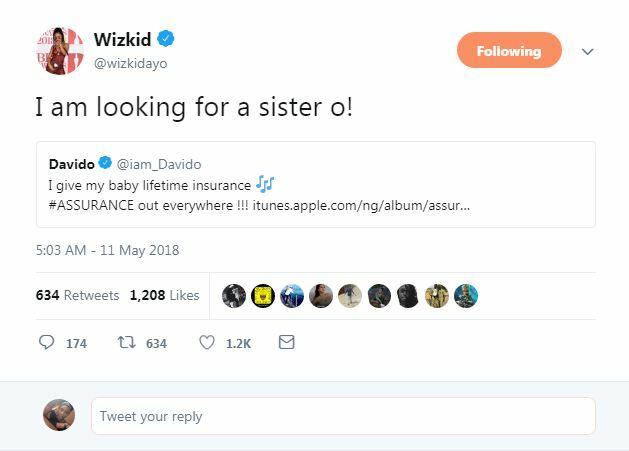 Wizkid who has father 3 chidren from 3 different woman & also have disclosed that he can’t settle down with 1 lady, announced via a tweet that he is looking for a sister & Davido answered him. 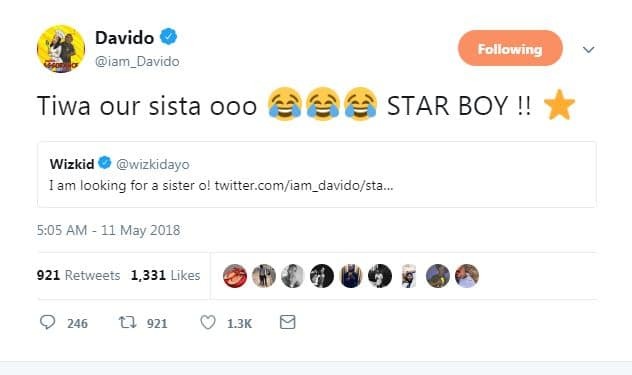 Apparently joking, Davido responded by calling out singer, Tiwa Savage who has been best friend of Wizkid for a while now.